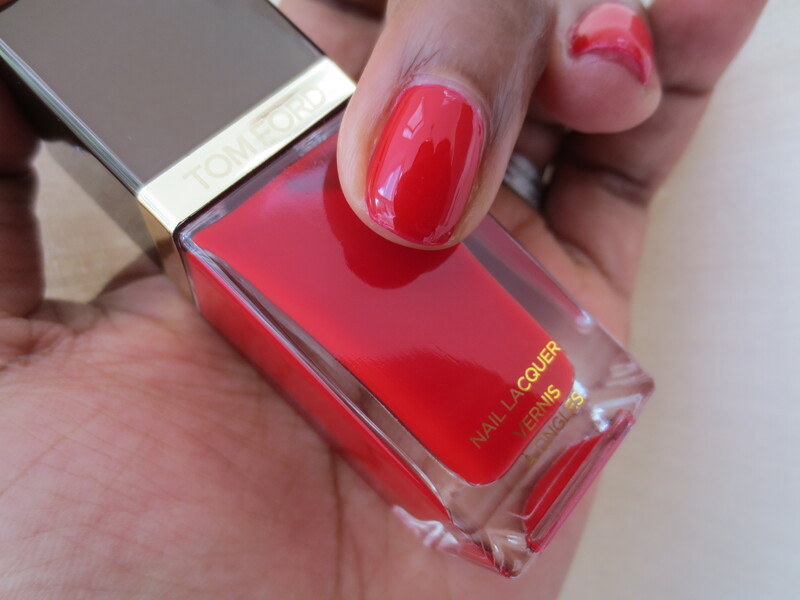 NOTD: Tom Ford Carnal Red and My New Favorite Manicure Tool! I don’t do red often but when I do its serious! I picked up this red from Tom Ford at the CCO (Cosmetic Company Outlet/Store) months ago and it was time I cracked this sucka open right? I forget the price but I know I got it cheaper than the original price of $30. 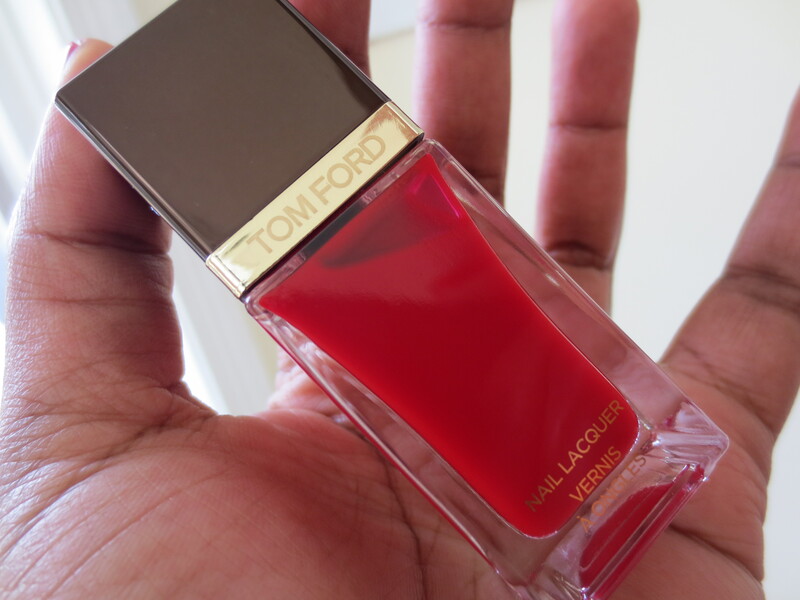 I think it was around twenty bucks which is still a lot but I had to try some Tom Ford! I used a base coat, two coats of color, and a top coat. I like Carnal Red overall. Its not too thin or too thick. The nail brush wand is standard, nothing different than most drugstore brands. I’d say treat yourself if you see this on sale but this is nothing to run out and invest in. The cutest thing is the packaging to be honest. I love the color. It’s a beautiful true red cream. 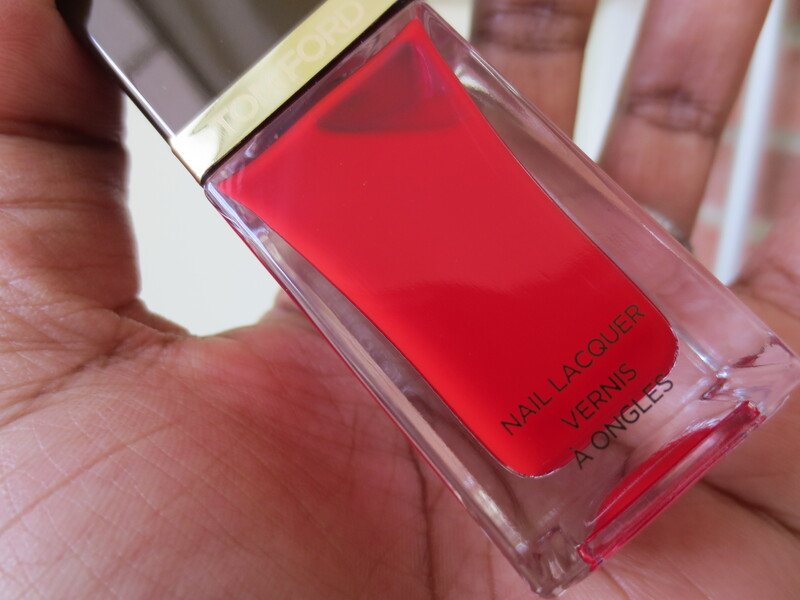 For this manicure I tried out Seche Vite’s base coat for the first time. I like it. I’m getting very low on my favorite Butter London Nail Foundation. I’ve been using that base coat since mid January non-stop and I’m just getting to the end of it. 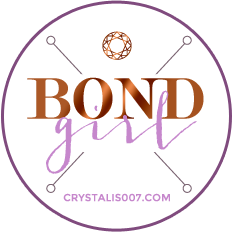 If you are looking for a great base coat check that out. I kicked myself over the price tag but it’s served me well. But the big deal this time around with my manicure was something helpful that I came across at Bed Bath & Beyond over the weekend. 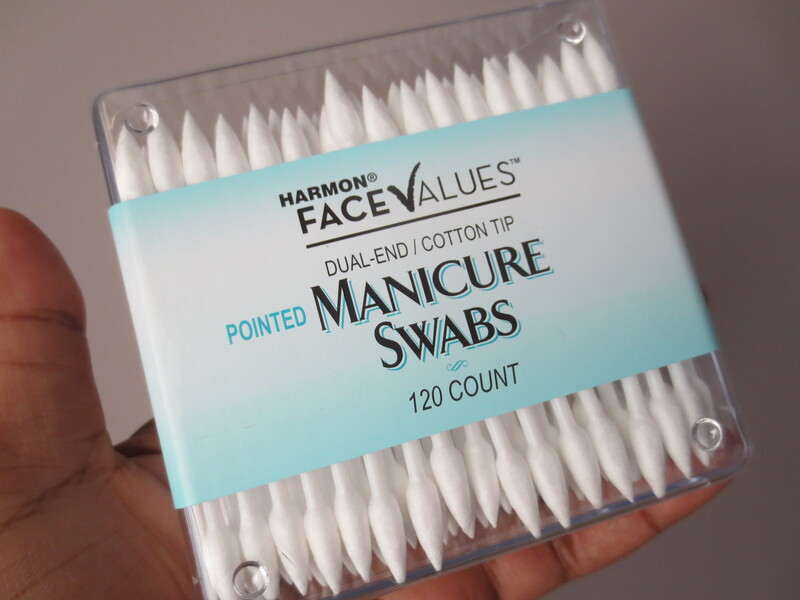 Manicure Swabs! For $2.49 I got 120 of these useful pointed tools that make fixing mistakes around your nail beds easy! I will never be without these from now on. I just dipped one in polish remover and all my mistakes were fixed. The pointed tip is so useful! I can’t believe I’ve never seen these before. There were a few brands available at BB&B so don’t worry that you have to find the brand that I got. All of the different brands packages were under $3 so these little swabs are a good deal. 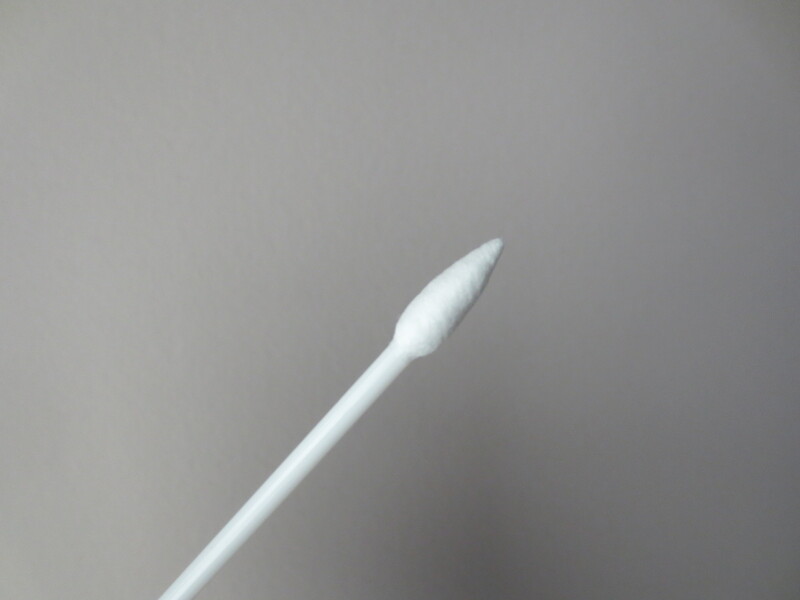 I can’t tell you how happy I am that I don’t have to work with a fat regular Q-tip anymore! Rejoice, it’s like the angels are singing! Those manicure swabs are probably easier to use than the paint brushes they use when I get my nails done. Also LOVE that color red. What do you think is the closest dupe to that one? OPI “MonSooner Than Later” perhaps? Oh I very rarely do red polish, I have only a handful of reds in my nail stash so I’m not sure about a dupe. Nice polish! Hmmm gotta look for some manicure swabs next time I’ out and about. That sure is a pretty red nail. I so need thos manicure swabs. I’ll check Sally’s our BB&B beauty stores are in the burbs. Those swabs are so good!!! 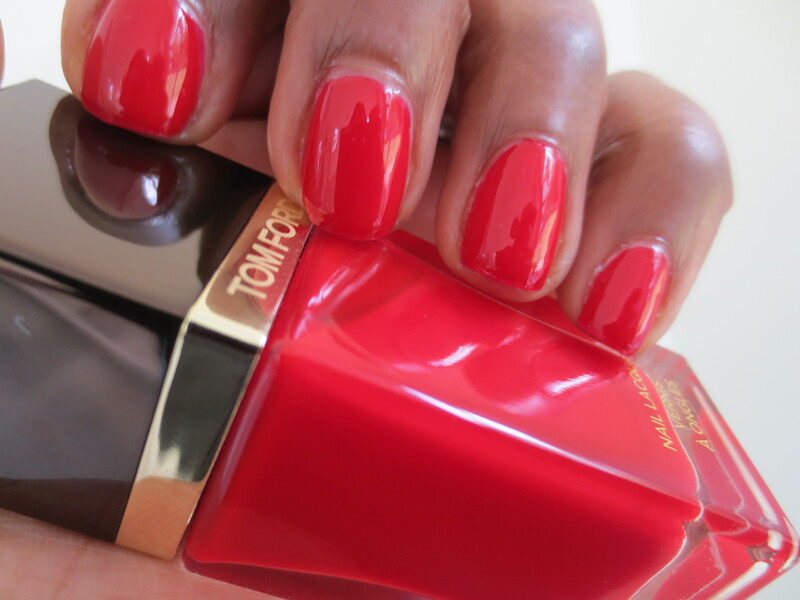 That polish looks great on your nails. Beautiful color. I buy those swabs for the nails at Sallys. Love them. I also buy the cotton that is in strands that comes in a box. Cheap and it works great to take off polish. I prefer a slated stiff art brush for manicure clean up. I have a stash of these that I picked up from Michael’s.